On Thursday 30 October 2014 it’s National Black Cat Day, our annual celebration of black and black-and-white cats. We’re looking for our National Black Cat Day Champion – a wonderful black or black-and-white rescue cat who can show the world how wonderful monochrome moggies are! 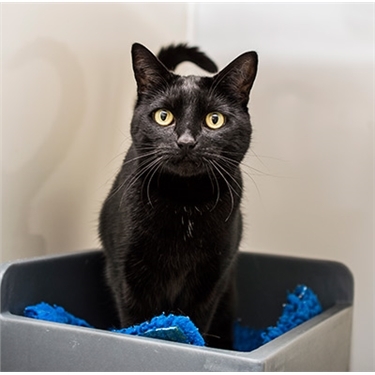 From today, Monday 6 October, we’re running a competition on our national Facebook page, asking our supporters to share their rescued black cat selfies and stories. We’ll shortlist our favourites and ask our Facebook followers to vote by ‘liking’ their favourites. The photo with the most votes will be crowned our ‘National Black Cat Day Champion’. The winner will receive a photo shoot for their cat and will become our poster cat for future rehoming and black cat appeals.